It could take you a lifetime to explore every amazing place in West Cornwall, here are a few of our favourites. Maps call our beach Whitesands Bay, but we just call it Sennen. It's a stunning stretch of, as the name suggests, beautiful white sand. Popular for surfing, swimming, and just kicking back and loving the natural beauty of it all. If you don't surf already then now's the time to learn, it can change your life! Sennen Surfing School has a great reputation, tell Dave I sent you. Sennen also has a couple of good cafes, a pub and a decent restaurant that's perfect for a sun downer or two. It says a lot for the far West of Cornwall that something as spectacular as St Michael's Mount is just one of our jewels. Walk across at low tide, or catch a boat from Marazion. St Michael's is a real life fairy tale castle, still lived in by the St Aubyn family and managed by the National Trust. Praa Sands is one of my favourites. Its still relatively unknown and although busy in the summer you can still walk on a bit and find a quiet spot. Its an unpretentious beach with a great laid back pub and beach bar where you can enjoy a drink and burger and watch the surfers do their thing. There is a surf school too and its great for kids in the holidays. 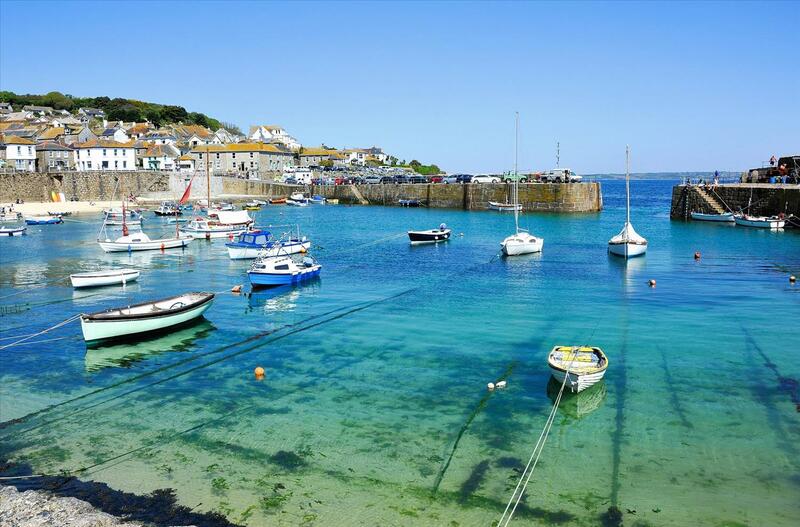 Pronounced Mowzel, Mousehole is such a charming little harbour village. It's a tourist destination that fortunately still has a strong community of artists, fishermen and others lucky enough to live in its quaint narrow streets. The tidal beach in the harbour is safe and sheltered from the wind. 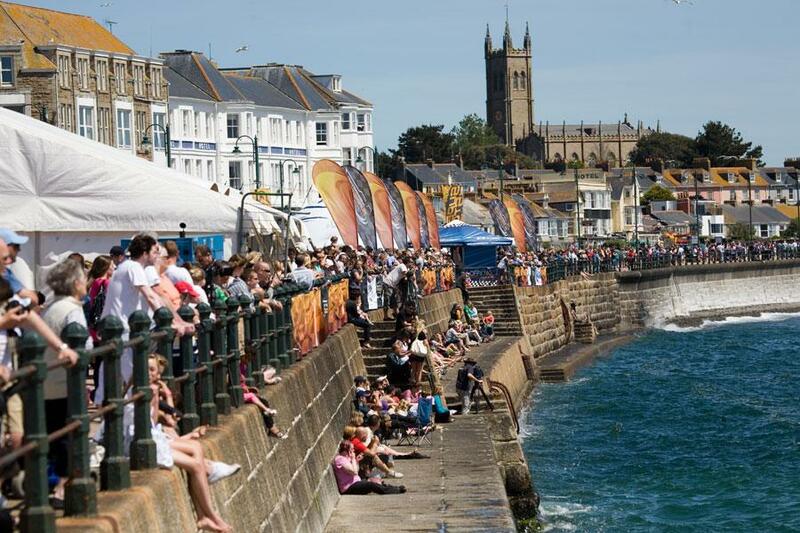 We love Welsh poet Dylan Thomas for describing Mousehole as "the loveliest village in England". It's special to Cornishmen too for being the home of Dolly Pentreath, the last woman known to speak Cornish as her first language. It was a long time ago, but it is making a comeback. Mousehole is at its best over Christmas when the village pulls out all the stops with a beautiful Christmas lights display, switched on a couple of weeks before the 25th with ceremony and celebration. The most westerly town in England, and home to The Cornish Way, St Just seems unspoilt by the march of time. The mining community shaped the landscape, and is the back drop for much of Poldark, including Ross's Wheal Leisure at the nearby Crown Mines below Botallack. It's a UNESCO World Heritage site for its mining heritage, and the Plain-an-Gwarry (Plen) is also a listed ancient monument. Today the town has good pubs, two great butchers and a few galleries. 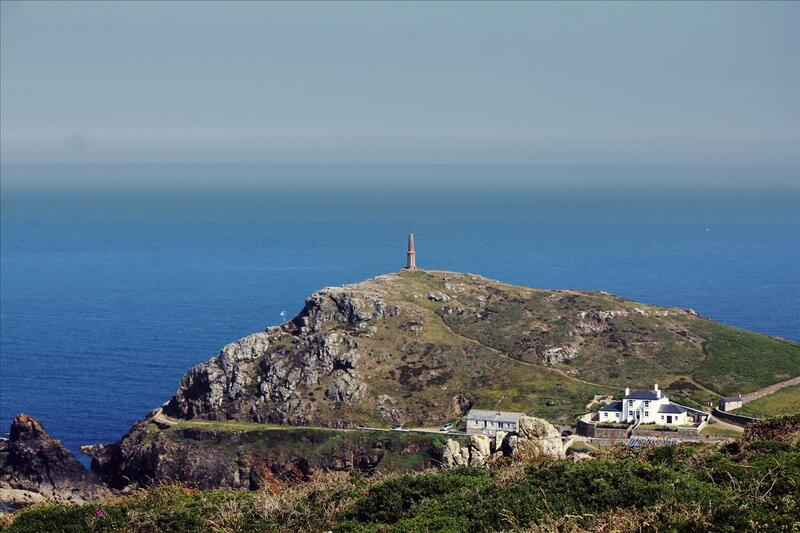 There are fabulous walks out in every direction from St Just – down to the sheltered garden of Cot Valley, or the rugged Cape Cornwall. Cape Cornwall is the only cape in England, and for us it's simply the most stunning spot to watch the sun set behind the sea. There is no beach as such, but it's a favourite with St Justers and Great for swimming. No facilities. Dog ban all year in the little harbour.. Among all the pretty touristic towns and villages of West Cornwall Newlyn feels the most real. It has an edge. Its streets are quaint and have many old houses crammed down traffic free lanes, but it's the port that gives it its character. 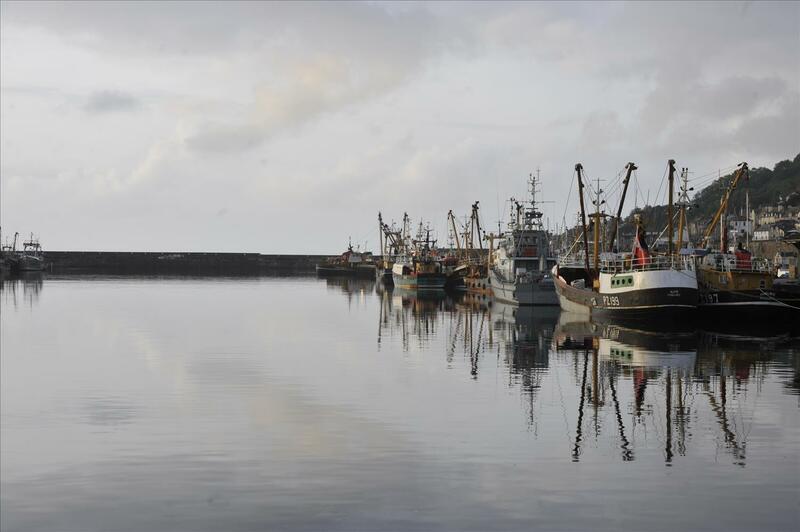 Newlyn is home to one of the country's biggest fishing fleets and the August Bank Holiday Fish Festival is not to be missed. Newlyn is also famed for its art. The Newlyn School was formed by Stanhope Forbes and Walter Langley who started the British plein air movement and included Henry Scott Tuke, many of whose works are now in the Tate Britain collection. Despite it being so authentic the march of time is catching up and Newlyn is becoming quite the destination helped by a couple of fabulous eateries and the amazing new Cinema “the Newlyn filmhouse”. Developed from an old fish merchants store and partly funded by the Curzon group you could be forgiven for thinking you’re in central London with the fantastic bar and gorgeous interiors. 300 miles south west of London, Penzance is the end of the train line, and boarding point for the Scillonian Ferry to the Scilly Isles. Beyond the main streets there are some hidden gems in Penzance. Look for the Egyptian House on Chapel Street, and the English Heritage listed Jewish Cemetery, the finest outside London. You might think the Cornish Jews lent their name to Market Jew Street, although in fact it's an evolution of Marghas Yow being Cornish for Thursday Market. Penzance has several lovely parks, in particular look for Penlee Gardens where there are often open air performances in the summer and an excellent public art gallery, and Morab Gardens where on a sunny day you could close your eyes and be transported to the tropics. We tend to think of Lamorna for its beautiful wooded valley with the stream running through it, or as a place to walk from. It does have a tidal beach in the harbour that's lovely to swim from, and it's a popular launch place for diving trips. No dogs on the beach. There's a café and car park – be sure to buy a ticket, the car park is quick to issue fines. 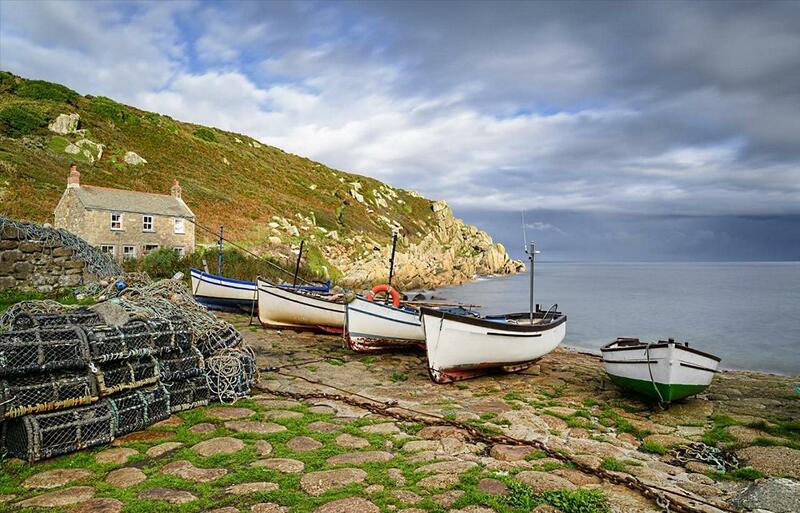 Much loved Lamorna might seem to have little of interest at a glance, and yet its charm grows on you. Its fame stems from the Lamorna Colony, artists from the Newlyn School who were particularly charmed by the valley, the harbour and its small tidal beach. Alfred Munnings, S.J. 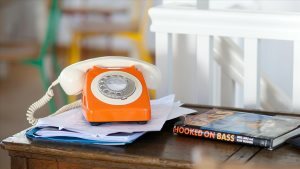 "Lamorna" Birch, Laura Knight and Harold Knight all feature in Jonathan Smith's book, and subsequent film Summer in February, which is based on their loves and lives. Tiny Penberth is a cove forgotten by the 21st century. You can drive close to the cove, but I love to approach it walking from either Lamorna or Porthcurno. The little fishing slip still serves a few boats and its interesting to look at the old gear, gently rusting away, and contemplate what did what in times gone by. We love Porthgwarra. Like so many of the best hidden beaches, its small and little known (except, that is, until Ross Poldark helped his friend escape to France from there in the 2015 TV series). Swimming here is good, but don't go out beyond the headland as there's often strong currents. There are two caves which are exciting for children and adults – let your imagination run away with tales of smuggling. In fact they were used to store shellfish until the late 1980s. It's good to walk from here to Nanjizel Beach which is not accessible by road. Porthleven has long been a destination for those in the know. It is becoming something of a foodies haunt and in 2014 Rick Stein opened a restaurant there. The beach is long and has lovely clean coarse sand. Swimming at the Porthleven end is safe, but not further east at Loe Bar. The National Trust owned Penrose Estate stretches from Loe Bar (a fresh water lake) to the outskirts of Helston and is good walking country that contrasts with the coast. St Ives is worth a website in its own right. 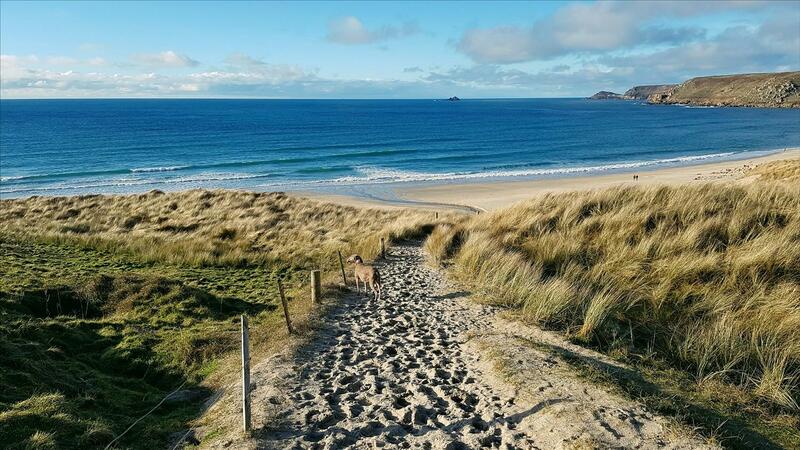 Crowded in summer, but always worth the effort, St Ives has nine beaches (including Carbis Bay), and some have amazing names – check out Lambeth Walk, Porthkidney, Clodgy Point and Bamaluz, alongside the more expected names like the Harbour Beach, and the best known – Porthmeor. St Ives isn't just about the beaches though. Art is important here, to the extent that Tate has both Tate St Ives and Barbara Hepworth's studio. The light attracted artists, and the train made it easy for them to get here. Names such as Ben Nicholson and Mark Rothko are associated with the town along with potter Bernard Leach and local artists Terry Frost, Peter Lanyon, Alfred Wallis and many others. Spend a day wondering through the tiny streets with names such as my favourite, Salubrious Place. Just watch out for the seagulls – they're brave here! Such choice. The sub-tropical beauty of Tresco, the wild remote Bryher, St Agnes, St Marys, St Martins and the smaller uninhabited islands. A trip to the Scilly Isles, whether for a day, or longer will stay with you as a happy memory. Fly to the Scillies from Lands End Airport and take the ferry back to Penzance. You can go both ways on either mode of transport, but this is the best combination for sightseeing and a smooth ride. Easily missed, but worth looking for. The little hamlet of Zennor is far enough inland from the dramatic cliffs to enjoy a degree of shelter. 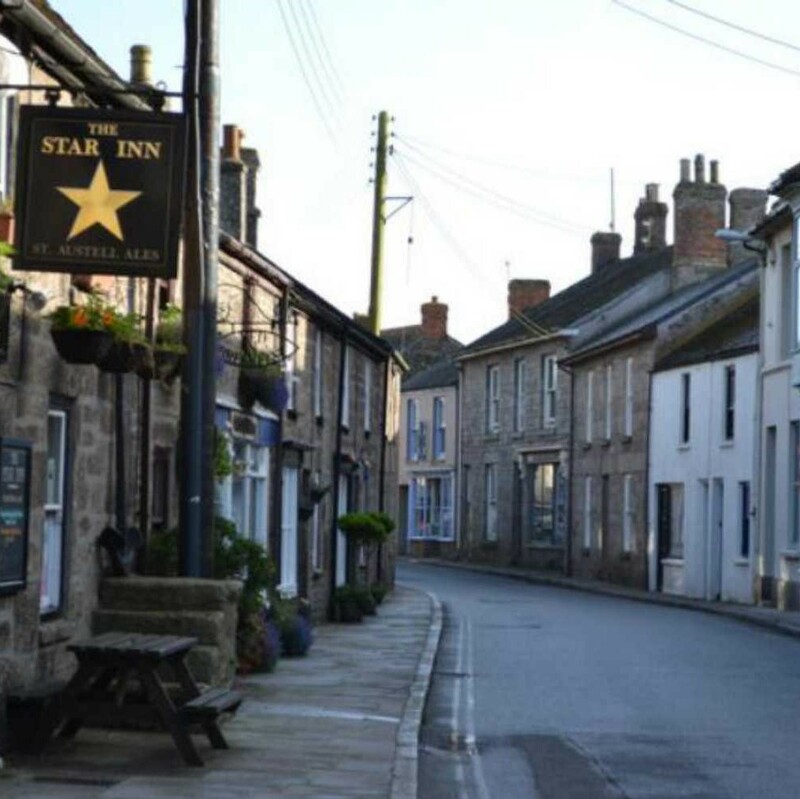 There are just a few houses, a good pub, The Tinner's Arms, and St Senara's Church where the legend of the Zennor Mermaid was inspired by the 15th century carved mermaid pew end. Well known artist Patrick Heron lived above Zennor for much of his life. Tate St Ives displays some of his work, including his stunning stained glass window designed for the site, it's particularly interesting for having no leading.